Gene Shaparenko (aquatechnology.net) has made it his personal mission to “expose” us. 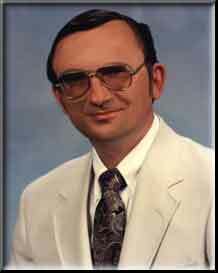 His website entry, “Victor Hafichuk – ‘Prophet’ or Tool of Satan?” is so full of lies and distortions that it would be comedic except that his insanity, brought on by a bitter anger and offense at God, has terrible repercussions, for him and anyone (if there is anyone) that listens to him. What Gene does not say is that we had already thoroughly answered him in private, and it was he, not we, who could not answer. Being incensed because of this, Gene created a straw man out of the most outrageous materials, identifying us with both false teachers and false doctrines with whom and with which we have absolutely nothing to do. Without truth and goodwill toward God and man, he attacks us with arguments tailored for lies we have never spoken. As well, his “orthodox Christian” doctrine is teeming with lies. However, having said that, we do confess that we have indeed spoken against some of the tenets of what many call “orthodox Christianity,” and for that we make no apologies. As servants of the Most High, why should we ignore the pagan lies and concoctions of carnal men presented as Christian and Biblical? In Jesus Christ, we come to set the record straight, a record that multitudes have blindly followed to their peril and for which they suffer great things. We have come to remove their sufferings, if they will but believe the Truth, as abundantly confirmed in the Holy Scriptures. Gene condemns us but never tells us exactly how we are wrong, although repeatedly asked and reminded of his omission. Instead, he tries to argue with us by copying someone else’s article without acknowledging authorship, and, when using his own words, rambles on incoherently. A good primer on how to spot a bluffer. Three notes in which Gene expresses his views of our ministry and begins to condemn our health business as well, getting desperate to find something to justify his rantings. We respond to Gene’s slander, showing it to be a major case of the stove calling the kettle black. Gene comes under his own condemnation, fulfilling the proverb: “People like that are setting a trap for themselves, a trap in which they will die” (Proverbs 1:18 GNB). Gene upbraids our webmistress, Sara, for her involvement in this work, but cannot answer her questions that direct the accusations back into his lap, where they have remained. An independent party takes Gene to task for his lies and hypocrisy and answers his sanctimonious and evasive reply. How the Lord depicted Gene, which we share with him. How he responded, and our final words to him. One who does not agree with us on many things writes to tell us that he has seen the lies Gene has posted and he does not swallow them. We ran across a posting of one of Gene’s articles linking us with false religious teachers with whom we have no part. We approached the poster, and, as could be expected, found no reasonableness, but rather fear and loathing. A false teacher posted on our site tries to discredit us by plagiarizing Gene’s rant on Victor and The Path of the Truth. We take the opportunity to answer Gene’s accusation that we preach “polytheism”.